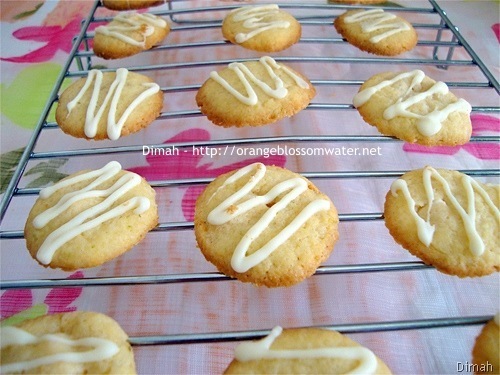 I made White Chocolate Lime Cookies for Eid Al-Adha. Preheat oven to 350 °F (176 °C), and line two sheet pans with parchment paper. 1, 2. In a large mixing bowl or stand mixer, sugar and butter until combined but not fluffy. 3. Add eggs one at a time, then add vanilla, lime juice and lime zest. Mix to combine. 4. Whisk together flour, baking soda, baking powder, and salt. Mix into creamed mixture until just combined. 5, 6. 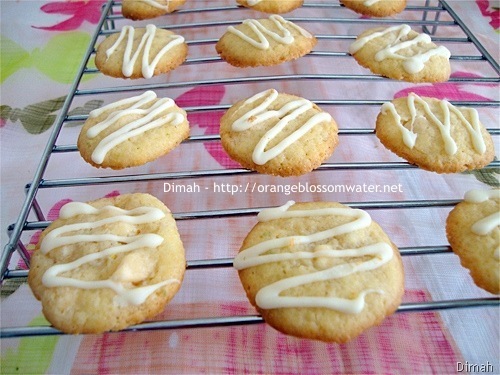 Fold in the white chocolate chips or white chocolate chunks. 7. Shape the dough into 1 inch balls, and place 2 inches apart on the baking sheet. 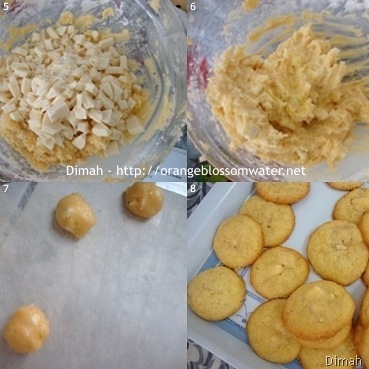 Bake for 10 minutes, or until the edges are golden and the centers are just set. 8. Allow to sit on the pan for three minutes before moving to wire racks. 9. Melt white baking bar and shortening in 1-quart saucepan over low heat, stirring occasionally, until smooth (4 to 6 minutes). 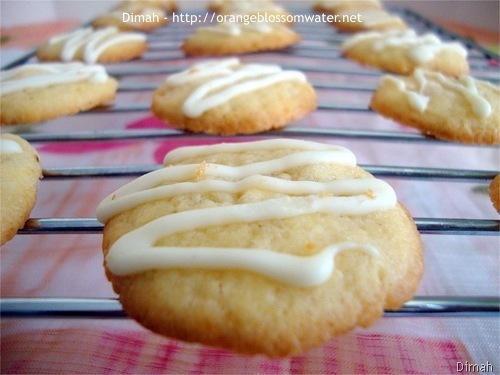 Drizzle over cooled cookies. 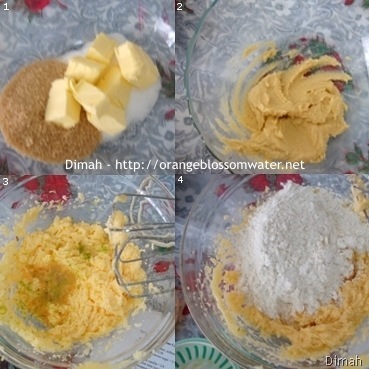 In a large mixing bowl or stand mixer, sugar and butter until combined but not fluffy. Add eggs one at a time, then add vanilla, lime juice and lime zest. Mix to combine. Whisk together flour, baking soda, baking powder, and salt. Mix into creamed mixture until just combined. 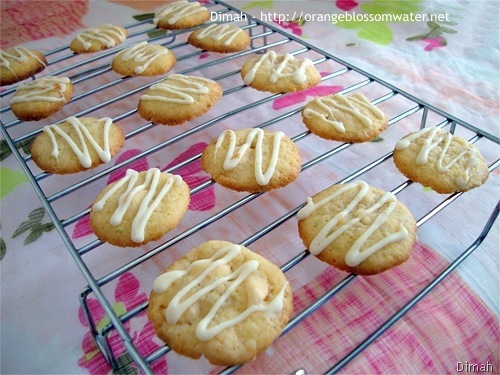 Fold in the white chocolate chips or white chocolate chunks. Shape the dough into 1 inch balls, and place 2 inches apart on the baking sheet. 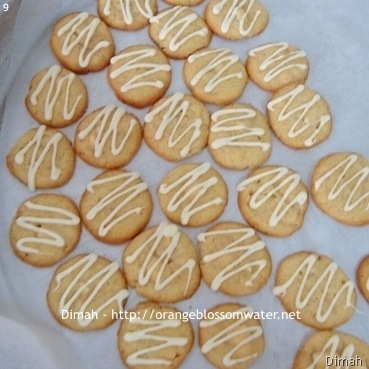 Bake for 10 minutes, or until the edges are golden and the centers are just set. Allow to sit on the pan for three minutes before moving to wire racks. Melt white baking bar and shortening in 1-quart saucepan over low heat, stirring occasionally, until smooth (4 to 6 minutes). Drizzle over cooled cookies. This entry was posted on Wednesday, December 2nd, 2009 at 2:02 PM	and is filed under Baking and Desserts. You can follow any responses to this entry through the RSS 2.0 feed. You can skip to the end and leave a response. Pinging is currently not allowed. Looks delish! I love the citric taste of lime.. This combination is perfect!